Family Planning NSW is committed to protecting your privacy and to handling your personal information in a responsible manner in accordance with the Privacy Act 1988 (Cth), the Privacy Amendment (Enhancing Privacy Protection) Act 2012, the Australian Privacy Principles and relevant NSW privacy laws and regulations (referred to as privacy legislation). You can view further information about confidentiality and privacy for young people. 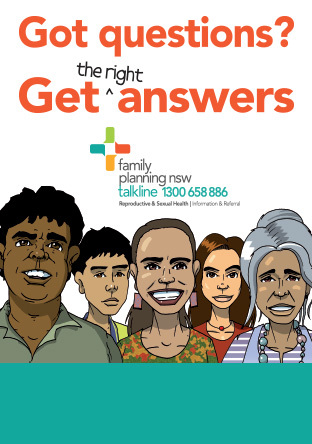 make a donation to Family Planning NSW. There are circumstances where we may be permitted or required by law to disclose your personal information to third parties. For example, to Medicare, Police or insurers. We may also from time to time provide statistical data to third parties for research purposes. If you believe that the information we have about you is not accurate, complete or up-to-date, please contact us, using the form below. If you have a complaint about the privacy of your personal information, please contact us using the form below - we will consider the details and attempt to resolve it in accordance with our complaints handling procedures. If you are dissatisfied with our handling of a complaint or the outcome you may make an application to the Office of the Australian Information Commissioner or the Information and Privacy Commission NSW.